*(plus tax where applicable) All prices in US dollars. Cancel any time. See below for more details and terms. Universe-shattering Comic events including: Civil War, Age of Ultron, Secret Wars and more! Guide your reading with curated reading lists spotlighting Captain America, Doctor Strange, Daredevil, Luke Cage and all your favorite heroes! More Classic and newer issues added every week of Amazing Spider-Man, Avengers, Guardians of the Galaxy and all your must-read series - as soon as 6 months after they hit shelves! Invites to incredible, exclusive Marvel events! 15% Off Digital Comics & Collections every day at the Marvel Digital Comics Shop! 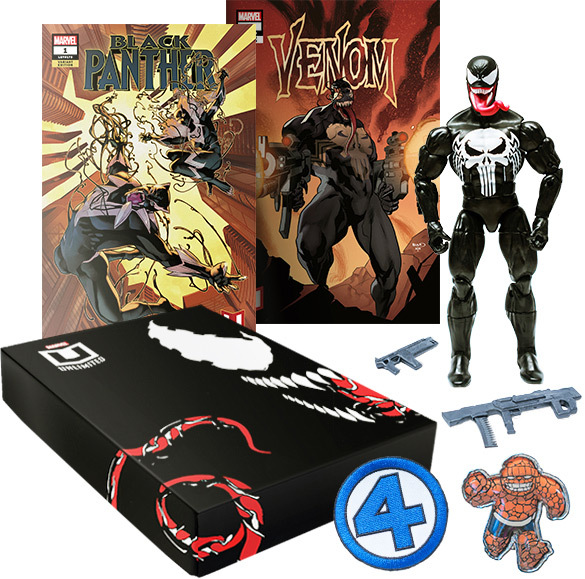 Exclusive limited edition Hasbro Marvel Legends Venomized Punisher figure not available anywhere else! Got a gift code? Redeem it here! 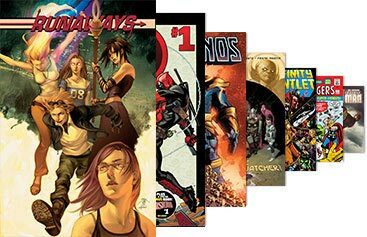 Save up to 12 comics to your mobile device to read even when you're offline! Unless otherwise stated at the time of purchase, all Marvel Unlimited subscriptions are subject to auto-renewal. Auto-renewal is an automated billing process that occurs at the conclusion of the first term and each subsequent term (monthly, annual or such other term specified on the applicable subscription offer) of the subscription. Marvel will automatically renew the subscription for the same length term at the renewal rate then in effect with the credit card on file unless and until the subscriber cancels. Subscribers can cancel their subscription at any time by accessing My Account or e-mailing OnlineSupport@Marvel.com. All subscription fees are nonrefundable. No refunds or credits for partial months. System Requirements: Requires Internet-connected (broadband recommended) Windows ® PC, Mac, iPad ®(OS 9.0 or higher), iPhone ® (OS 9.0 or higher), iPod touch ® (OS 9.0 or higher) or Android ™ (5 or higher) devices. 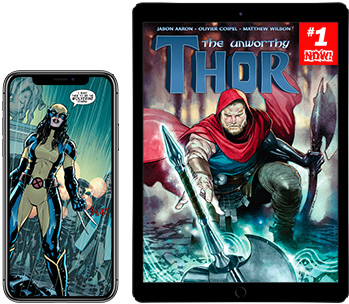 Marvel Unlimited provides streaming access on all compatible devices, offline access on iPad (OS 9.0 or higher), iPhone (OS 9.0 or higher), iPod touch (OS 9.0 or higher) and Android (5 or higher) devices and requires a Marvel user account. 1 $69 (plus tax where applicable) billed upon sign-up and annually thereafter. All prices in US dollars. 2 $99 (plus tax where applicable) billed upon sign-up and annually thereafter. All prices in US dollars. 3 Plus Member Collectible Kit may take up to 10 weeks to arrive. Plus Member Collectible Kit images for illustration purposes only. Scale and appearance of actual Plus Member Collectible Kit and contents may vary. Contents of renewing members’ Plus Member Collectible Kits may vary from the Plus Member Collectible Kit depicted. 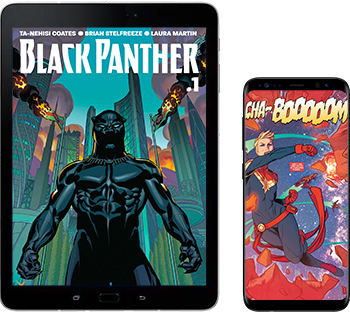 4 Marvel Digital Comics Shop offer not valid on bundles, subscriptions, sale items, free items, print comics, or in digital storefronts other than the Marvel Digital Comics Shop. Offer cannot be combined with other offers. To redeem offer you must be (i) logged in to Marvel.com and (ii) a current Marvel Unlimited Plus member in good standing, as determined by Marvel in its sole discretion. Discount applied to eligible items automatically at checkout. Offer may be canceled or modified at any time. Void where prohibited. 5 MarvelShop.com offer valid only online at MarvelShop.com. 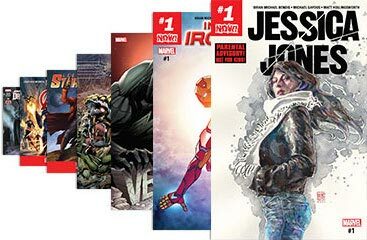 To redeem offer you must be: (i) logged in to MarvelShop.com and (ii) a current Marvel Unlimited Plus member in good standing, as determined by Marvel in its sole discretion. Discount applied to order (if eligible) automatically at checkout. This offer does not apply to shipping and handling charges, gift wrap or gift boxes. Eligible items do not include gift cards, publications, memberships, media, games and accessories, electronics, Limited Edition merchandise, personalization, and items not in stock. Offer cannot be combined with other offers unless otherwise noted. No adjustments to prior purchases. Prices subject to change without notice. Products subject to availability. Merchandise must be in-stock at time of purchase and can only be exchanged for identical item or returned at discounted price with valid packing slip. Returns and exchanges subject to discount taken at time of redemption. Cannot be combined with Cast Member discount. Offer may be canceled or modified at any time. Void where prohibited. Marvel user account and internet connection required to redeem Marvel offers. Apple, the Apple logo, iPad and iPhone are trademarks of Apple Inc., registered in the US and other countries. App Store is a service mark of Apple Inc. Android and Google Play are trademarks of Google, Inc.